The Pound Australian Dollar (GBP/AUD) exchange rate fell by 0.5% today and is currently trading around AU$1.8650 on the inter-bank market. Sterling (GBP) fell against the Australian Dollar (AUD) as Prime Minister Theresa May rallies once again to bolster support for her Brexit deal, which could potentially face a third ‘meaningful vote’ on Wednesday. Theresa May now has to gain crucial support from the DUP to get her deal to pass, and with the vote heavily conditional on changes to the Irish backstop, this is causing many Sterling traders to remain cautious. The Australian Dollar (AUD), has benefited from a positive upswing in Asian stocks today, with the Dalian iron ore futures having surged by nearly 2% last Friday. China is Australia’s closest trading partner, and any signs of improvement benefits the ‘Aussie’. Many AUD traders, however, will be looking ahead to the speech by the Reserve Bank of Australia’s (RBA) Assistant Governor, Christopher Kent, today, and with any bullish comments about the state of the Australian economy, this could prove ‘Aussie’-positive. The Pound (GBP) was further weakened by the publication of the UK year-on-year Rightmove House Price Index figures for March today, which fell by -0.8%. Brexit developments, however, are tending to overshadow economic news today, with sentiment in the Pound continuing to be dampened with no forthcoming news that May’s Brexit deal could pass through to a third ‘meaningful vote’ on the 20 March. 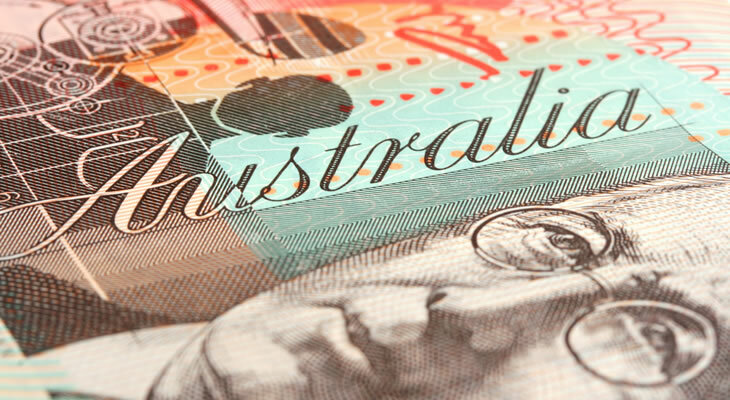 ‘Aussie’ (AUD) traders will be looking ahead to the RBA’s meeting minutes tomorrow, with the Australian Dollar likely to benefit from any indications of economic improvement. Tomorrow will also see the publication of Australia’s House Price Index for the fourth-quarter, which is expected to sink further to -2.0%, potentially weakening the AUD/GBP exchange rate. Pound (GBP) investors will be awaiting the release of tomorrow’s ILO unemployment rate figures for January. These will also be followed by the UK’s average earnings figures, which are expected to increase. The GBP/AUD exchange rate will remain dictated by Brexit developments this week, and with any signs of the DUP and rebel Conservative MPs warming up to May’s deal ahead of Wednesday, this could see the Pound begin to claw back some of its losses.